Play Session 01: Getting Marketable Title on a Tax Deed without a Quiet Title with Dave Schumacher/Founder of Tax Title Services. In this Session we discuss the process of getting title insurance on Tax Deeds. Schumacher is a trailblazer in the title industry who created a product that allows real estate investors to get title insurance less than 2 months after tax deed auction purchase. In this interview Dave guides us through the process and explains what maybe the fastest and easiest way to get title insurance on your tax deeds. As I often say the faster you can get title insurance, the faster you can sell them and collect your pay day if you are flipping. Play Session 02: New Tax Lien Certificate Investor Walks Us Through Her 18% Return Results with a New Tax Lien Certificate Investor. 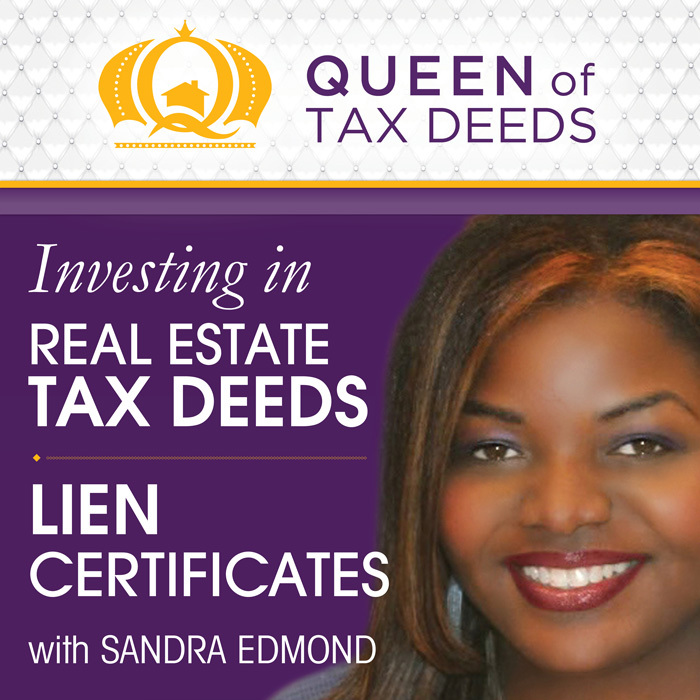 In this session Jane, an investor, discusses with me how she bought her first few Tax Lien Certificates. At the time of this recording Jane, who would rather not share her identity, is a new Tax Lien investor. We discuss the specific techniques she used to find the highest earning certificates in Florida at 18% and what learned along the way. Listen and be inspired by her success by following a few tips I gave her.